I went in last week expecting to have the extraction. Got myself all relaxed and mentally prepared for shots in my mouth and tooth removal. 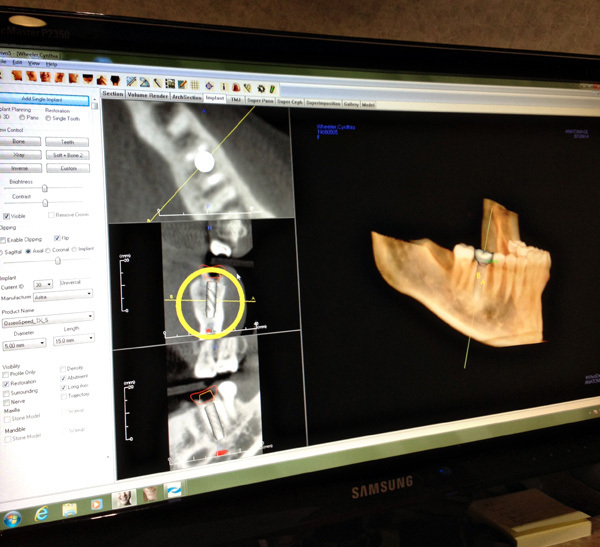 Mr. Periodontist took a look at my x-rays and said "You have enough jaw bone to do both the extraction and the implant at the same time." "If you're up for it...it'll save you about 4 months of recovery time on your way to your new tooth." So yeah, I'm up for it. Doesn't save me any money...but time is a good thing too. 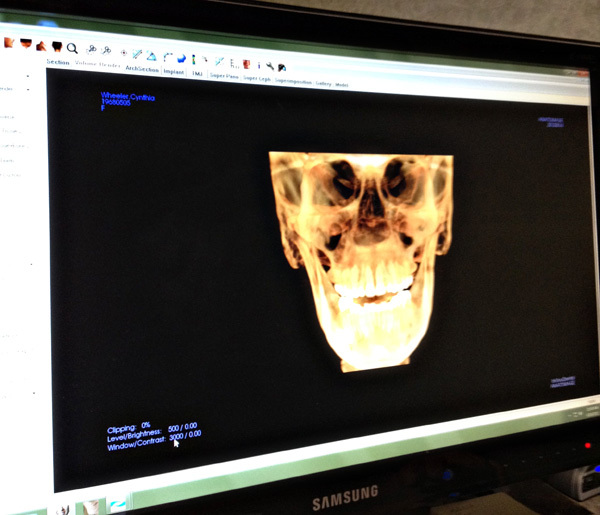 How sad is it that the second they made a model of me in this cool program I was all..."Hello Photoshop for Dentists!" This program was SUPER cool...and according to Periodontist man...it's the newest of the new technology. They actually placed the implant and tooth with this. 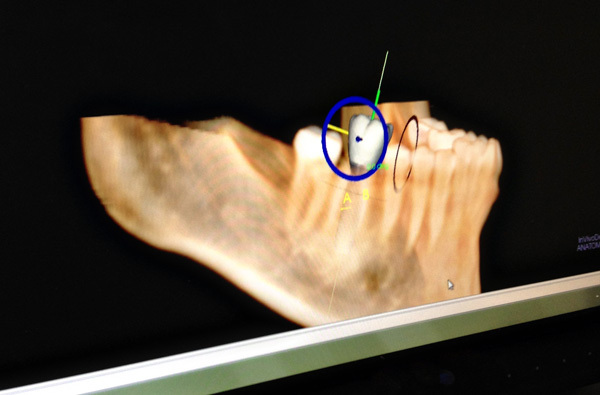 Then, they will create a 3d model of my lower jaw and make a guide to drill from.